Watch My Domains SED is a cloud / web server installable version of our domain portfolio management tools and is also the most advanced and extensible software solution available from us. The Web server version has the advantage of being accessible from anywhere and from any browser enabled device. You are also not limited by the choice of your OS. It will work from Windows, Mac, iPhone, Android Phone, iPads etc. Another advantage of Watch My Domains SED is that it is always on. The desktop versions require that you switch on your computer and run the software, the server edition is always on and can continuously monitor domain records. Since the server edition is always running, it is far more easier to generate daily, weekly or monthly email alert reports. There are a number of custom scripts available that will make it very simple to have emails sent to you automatically. All you need to do is provide the email addresses. Watch My Domains SED has a pleasing Ajax powered interface that is smooth and fast. It works on all modern browsers and you can access the application from desktops, laptops and tablets. Interface is very similar to the desktop versions and the transition from desktop to server edition is very easy and smooth. It is possible to brand your installation by changing the application logo, icon and links within the application. You can also choose a suitable color theme. You can use the PHP SDK to integrate data from the domain database into your own website. You can also use it to integrate data from third party resources like MOZ and Estibot (sample scripts are already available for integrating Estibot and MOZ data). You can easily integrate data from third party resources into the application interface. It is also easy to add support for other third party resources. You can contact us if you need help. 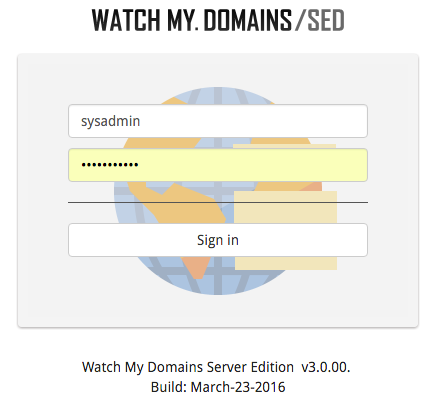 Watch My Domains SED can perform an automatic whois configuration when you add a domain with a TLD that has not yet been setup. You don't need to do manual configurations or wait for a software update. With so many new TLDs becoming available, manually configuring each TLD is not a viable option. 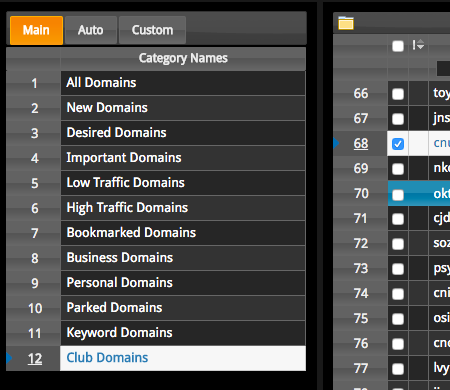 This feature makes managing domains really easy. 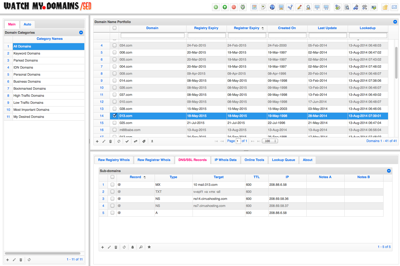 You can use Watch My Domains SED to monitor a large number of data related to domain names. 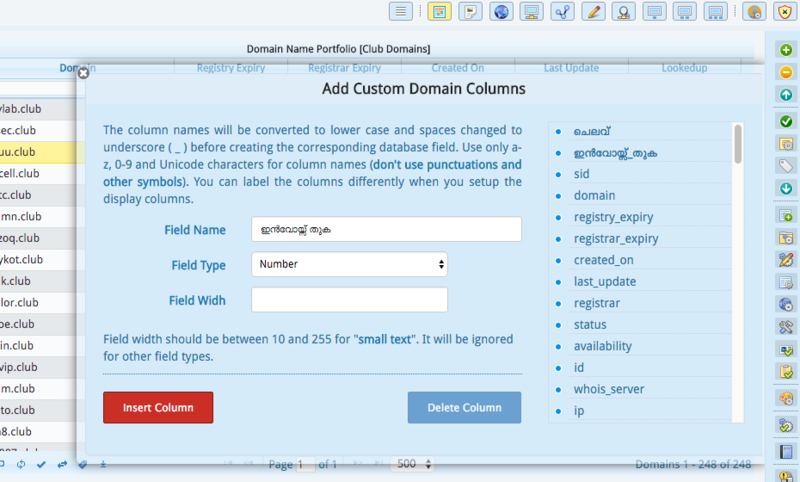 Create different users and assign one or more domain categories they can administer. This makes it easy for managing domains that belong to different departments. You can also assign different access rights like "view", "view+edit", "view+edit+add+delete", etc. to users. Watch My Domains SED also supports Two Factor Authentication (2FA) using either 'Duo Security' or 'Google Authenticator'. 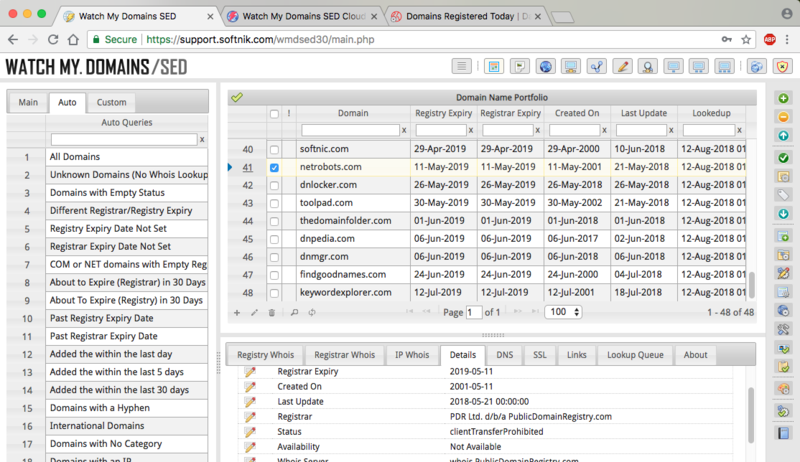 You can monitor all your hostnames, domains, subdomains, A and PTR records, NS Records, TXT records, SPF & DMARC Records, specified DKIM records, assigned IP addresses, SSL certficate issuer, SS expiry dates and more from the suddomain manager. You can also assign up to four different custom notes to each subdomain entry. You can add any number of custom data columns (called custom domain fields) to the database and have those columns displayed as part of the application interface. As you can see from the screen-shot, you can create custom column names in any language. You can also edit the column values or import data into the database from a CSV file. You can manually edit most of the data columns in Watch My Domains SED. This is useful when some of the data is not available automatically from domain whois or otherwise. 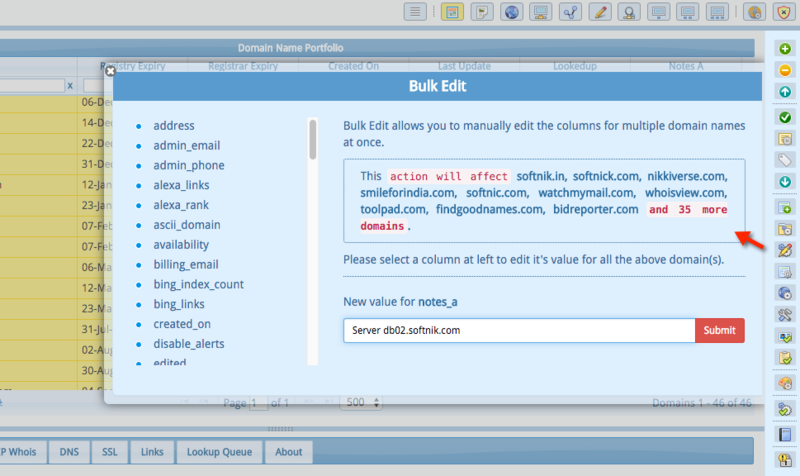 You can can also manually bulk-edit multiple domains and enter the same data into a column. Watch My Domains SED features a number of display groups that allow you to view the whole domain related data easily and quickly. For example, the "Important Dates" group lists the various expiry, created and last updated dates, the "Network Related Data" displays the name server records, IP address etc. You can completely configure what columns go into each group. 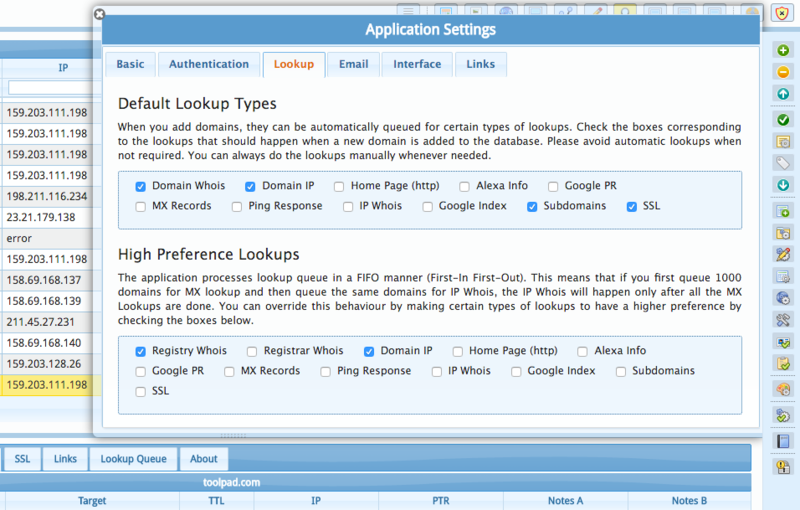 You can configure the software to perform lookups automatically at regular intervals. You can also specify which types of lookups should be given higher priorities. Find domains that have a wrong email contact. At all times make sure that you have control over your administrative email contact and your registrant email address is working. The support for this depends on this information being available. Add any number of custom data columns. Add your information to the database by manually typing-in or by importing from a CSV file. We will setup a fully managed and dedicated production level installation for you to evaluate and then subscribe. We will take care of all the technical stuff. Some conditions apply. Let us install on your server, use an existing server or a third party provider. You will need to provide us information about your or third party provided server. Install on your own server, requires that you have access to a web server. There is no need to provide any contact information before you download. Free for 30 days (may be extended for additional 15 days at a time to as many times, within reasonable limits), payment details are not required for evaluation.